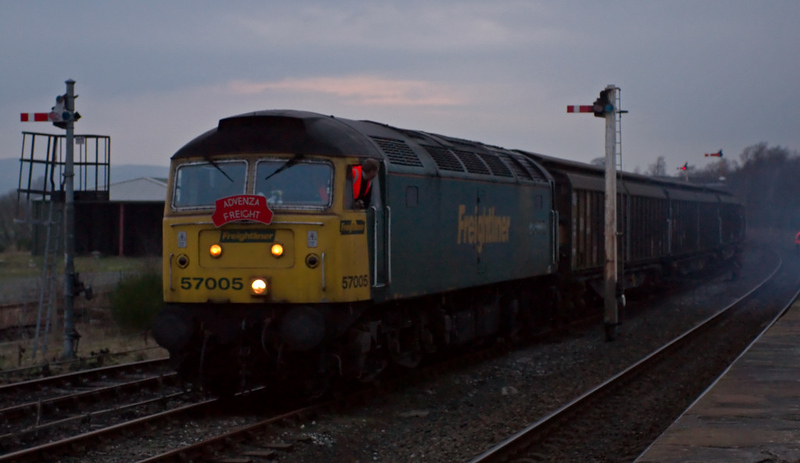 57005. Hellifield, 8 February 2008 7 - 1659 The 57 sets off for Doncaster. The cargowaggons were bound for Germany via the Channel Tunnel.